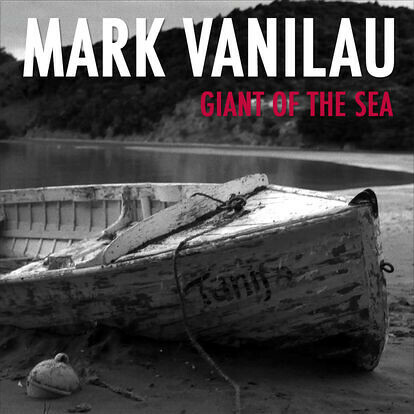 In October last year I had the massive pleasure of writing the string arrangement for Mark Vanilau's track "Giants of the Sea", released TODAY! The track is produced by Warren Maxwell and strings recorded by Nic Manders. Never heard of him? No one is perfect! Mark Vanilau has worked with New Zealand's best - he's a regular member of Dave Dobbyn's band, he played on Hollie Smith's album, performed with Rikki Gooch in Eru Dangerspiel and has been in bands with Ladi 6 and Scribe. He recently played his first show with Warren Maxwell and Louis Baker. Vanilau is a multi-instrumentalist with a distinctive, velveteen voice. His dynamic live set takes twists and turns through soul soundscapes he describes as "Pink Floyd soul music". Purchase your copy here at Amplifier.co.nz.